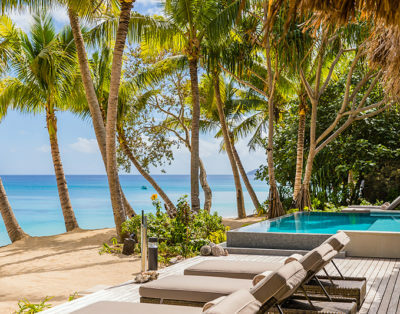 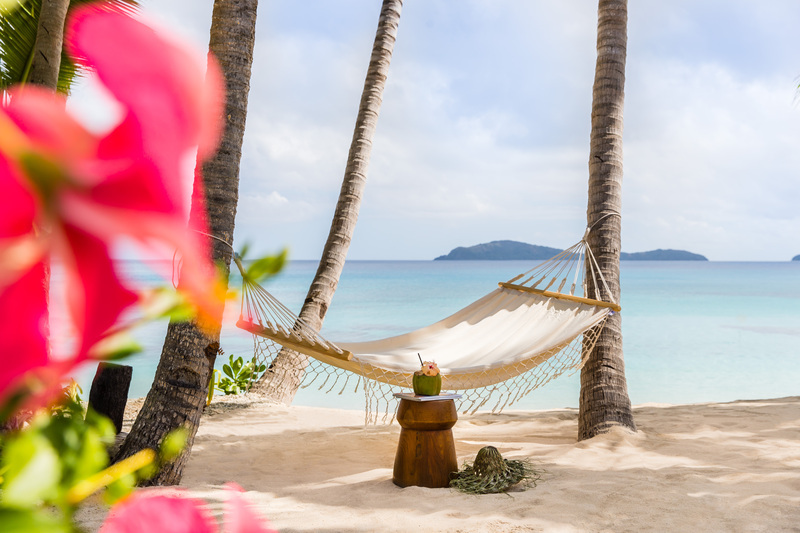 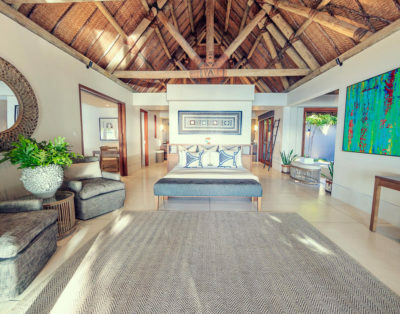 Spread sparingly along the islands east and west beaches, our one-bedroom Beachfront Villas offer absolute privacy, stunning ocean views and direct beach access, securing you your own private slice of paradise. 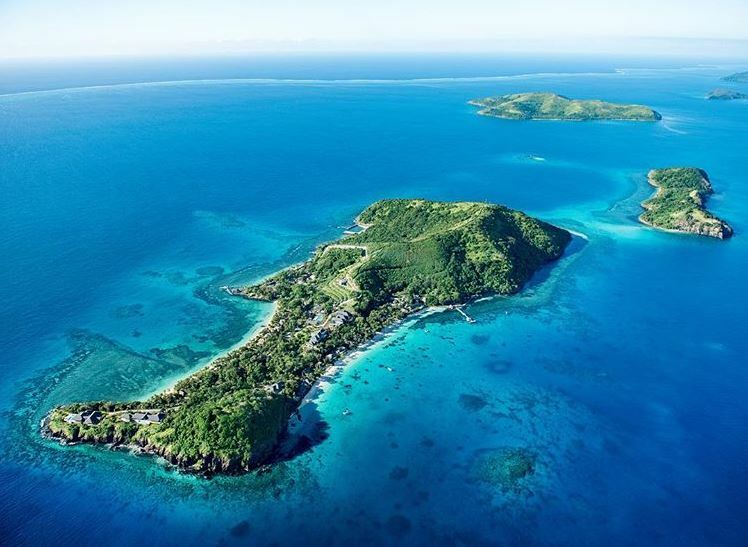 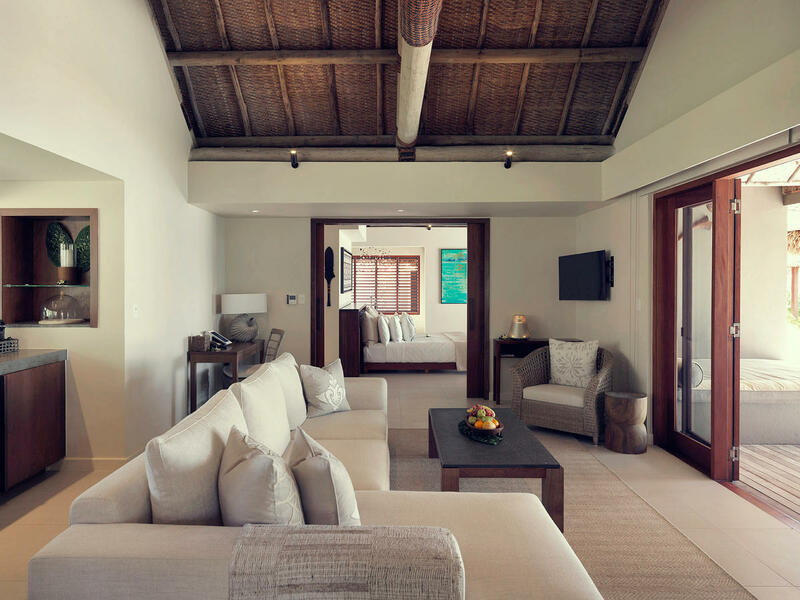 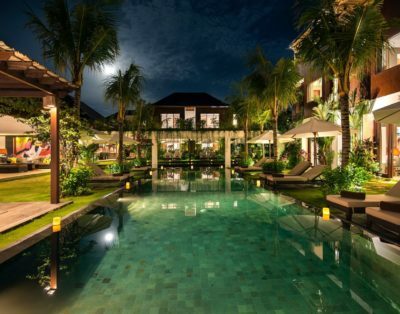 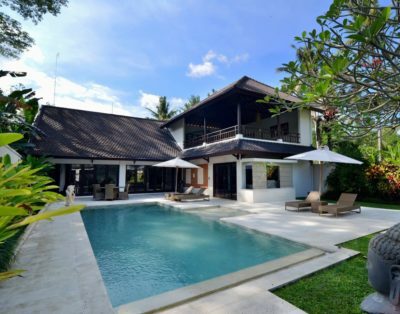 Each villa boasts an open plan layout, with large lounges and kitchenettes, offering unrivalled views of the ocean. 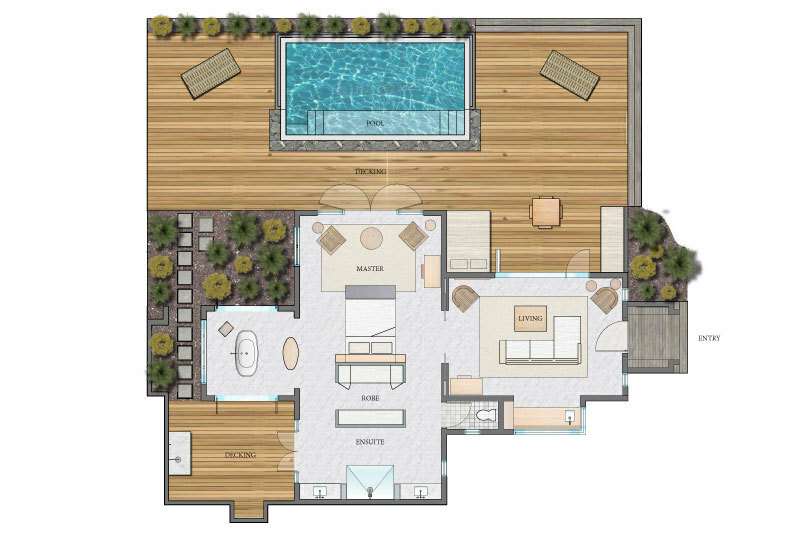 Sliding doors separate the generous living area and spacious master bedroom, featuring walk-in wardrobe, bathroom with rain shower, deep bathtub and double vanity, which leads out to a courtyard with outdoor shower. 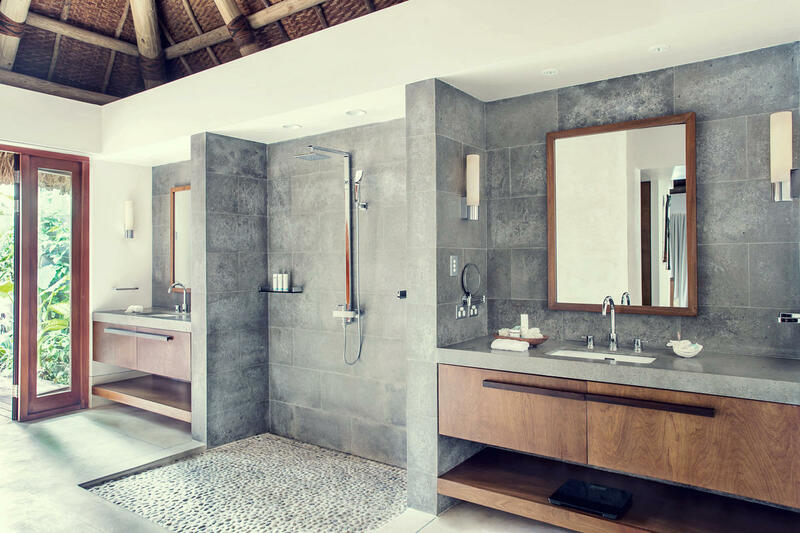 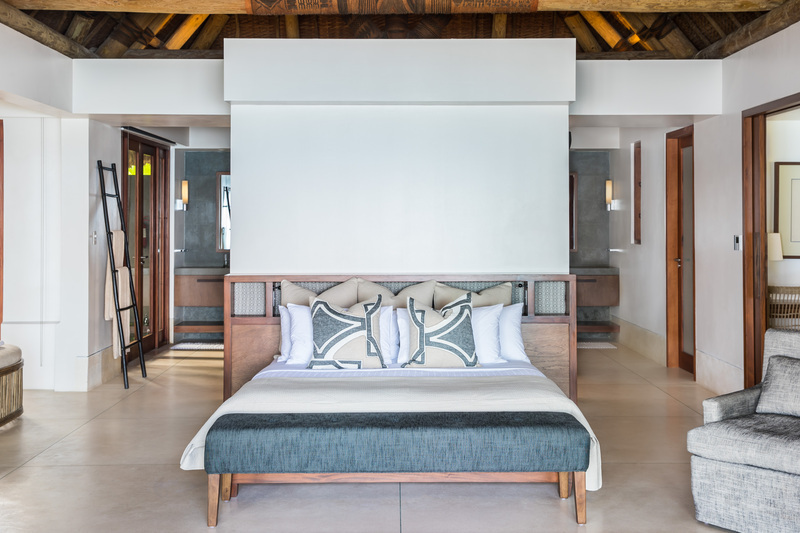 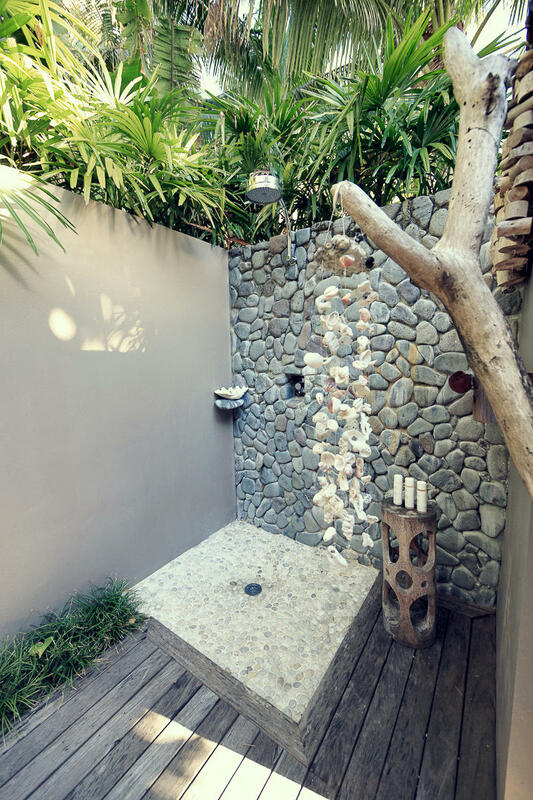 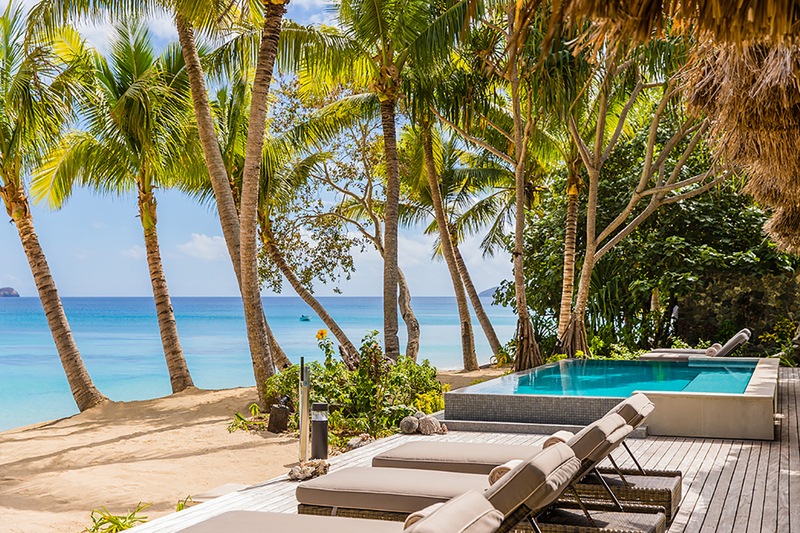 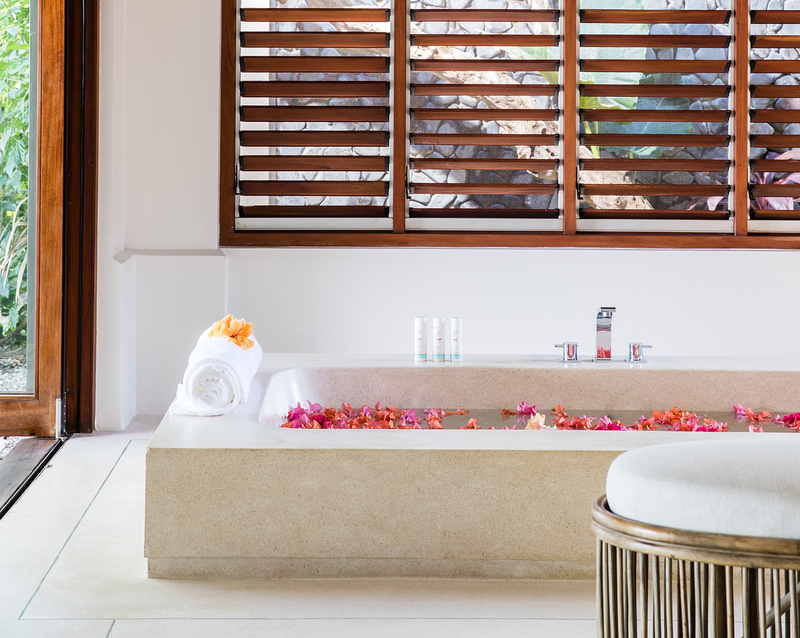 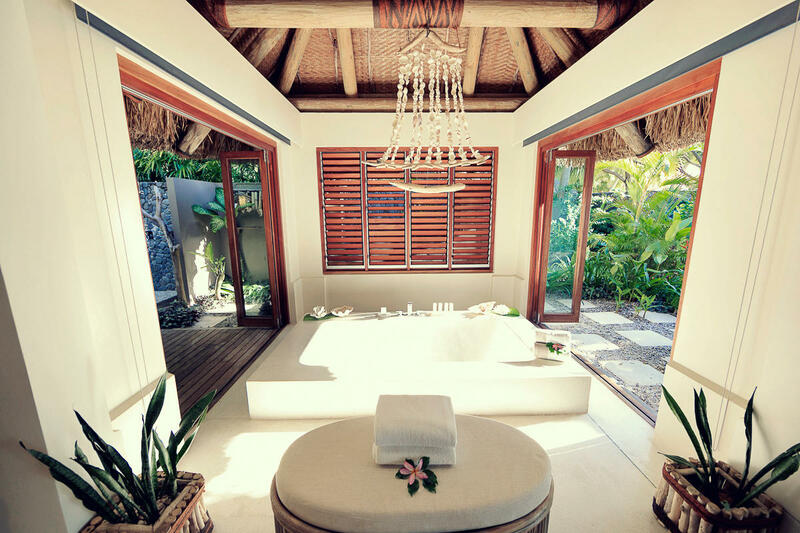 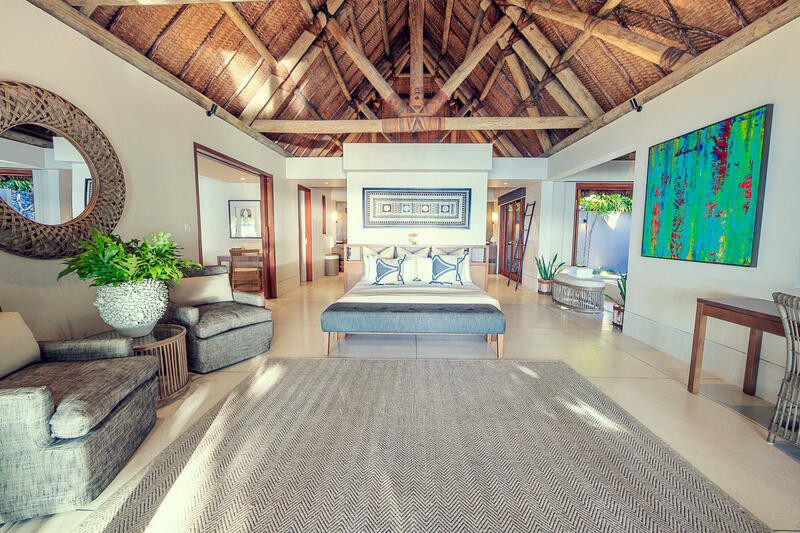 Traditional in design, the villa interiors are adorned with Fijian nuances while reflecting their natural surroundings. 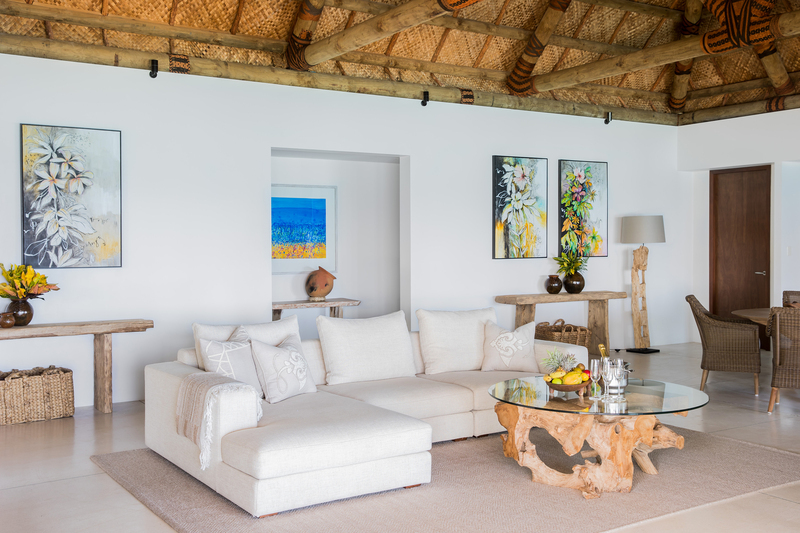 Beautifully woven matting decorates the raised ceiling and exposed timber pole roof beams, with magi-magi (coconut fibre) wrapped joints; each individually hand woven with intricate patterns that depict traditional motifs and designs. 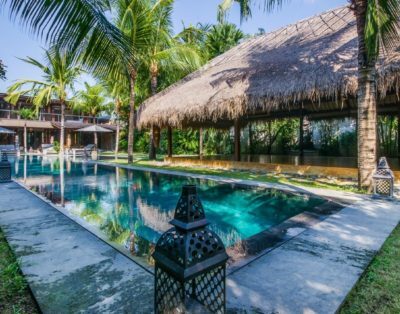 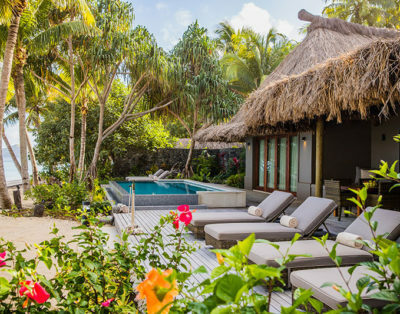 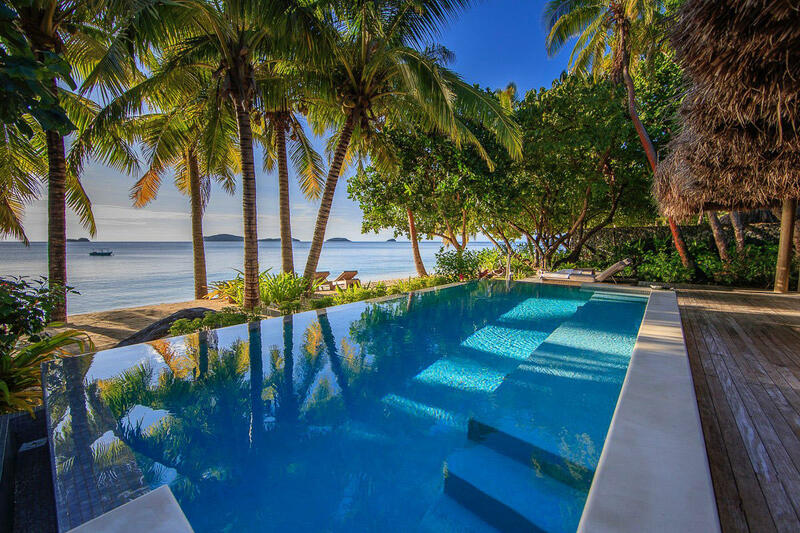 Each has its own private infinity pool, spacious deck, complete with sun loungers and large sun bed all contained within a lush, walled garden; the perfect space to watch the sunset over the Great Astrolabe reef.